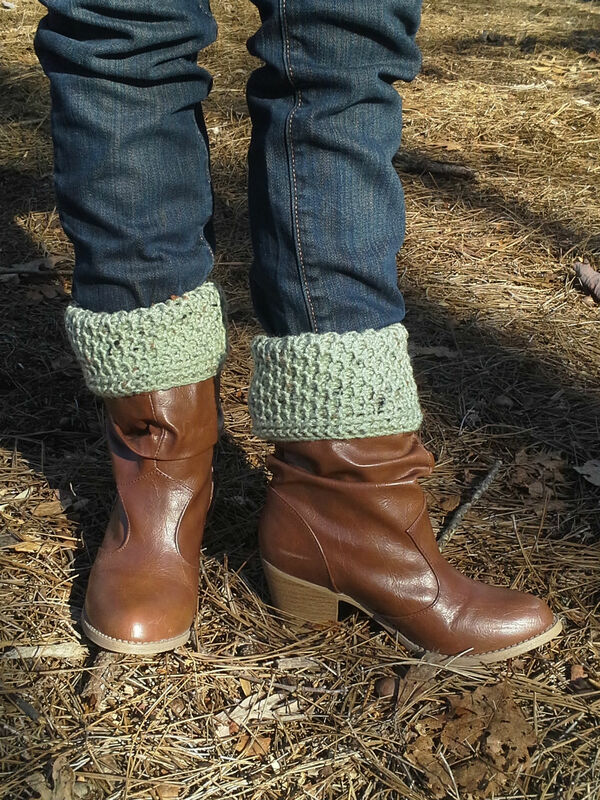 Because I’m so new to the boot cuff concept, I’ve been spying boot wearers everywhere to see if they are or are not sporting the cuffs. The more cuffs I spotted, the more I noticed that people wear them differently. 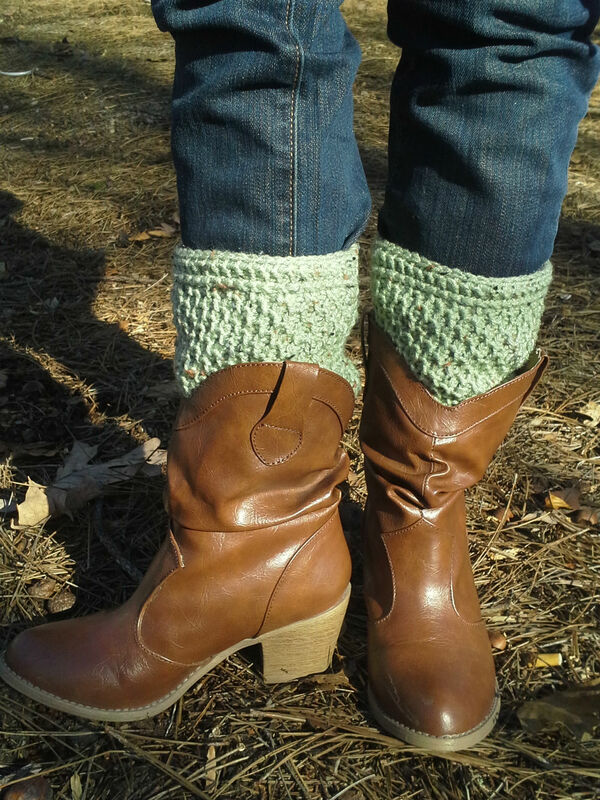 So with the latest boot cuffs I made, I tried to fashion them in such a way to be versatile. Which way do you like them best? Cuff Style or Sock Style? 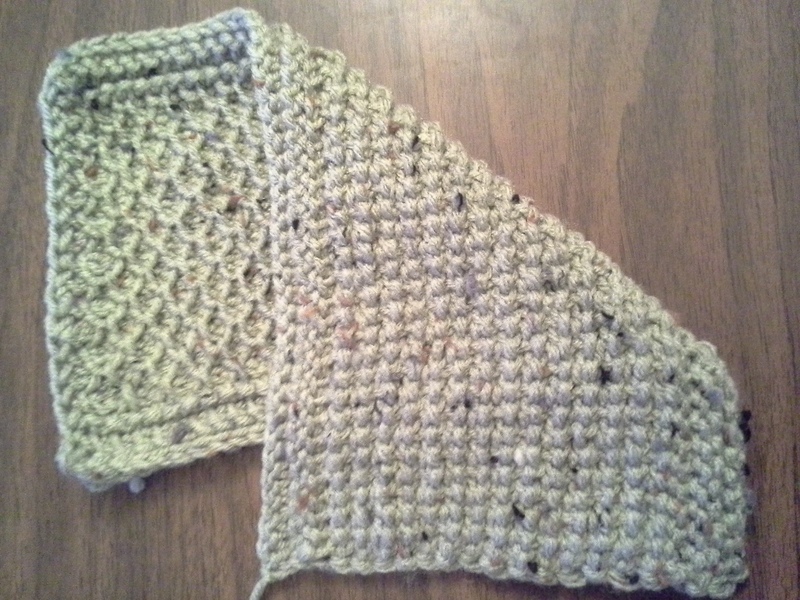 In this pattern I’m using Tunisian Crochet. I have an infinite swatch of various stitches I learned from this site and am so impressed with the different looks. I also like that it is sort of a cross between crochet and knitting which makes it fast but not as carpal-tunnel intensive. I fell in love with this honeycomb pattern! I’m recording the pattern here for anyone who wants to take a stab at it. As with all the patterns that I have posted so far, I assume that you know how to do the stitches. One day I hope to be more educational about the stitches, and at that time I can come back and update the patterns to be more helpful to the novice. But seeing that I’m still a novice myself, I cannot claim guru status. In the meantime, visit My Tunisian Crochet. However, I still would like to share the pattern. Yay. I used a 5mm Tunisian crochet hook which looks like a US size 8 knitting needle with a hook on the end. 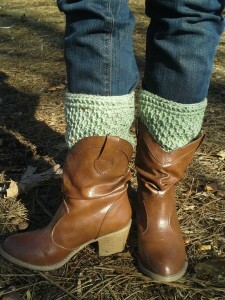 The yarn I used here is Red Heart Super Saver yarn in Frosty Green Fleck. I yarned it flat and then seamed the edges together with a whipstitch. Chain 43 (or however many stitches you need to make it 12 inches long). Pick up stitches through the back loops, starting with second chain from hook. Return*: Chain 1. (Yarn over, slip stitch 2 loops) repeat until there’s only one loop left on hook. Tunisian Crochet Perl Stitch (tps) all stitches, slip stitch into ch1. Then return*. Tunisian Simple Stitch (tss) all stitches, slip stitch into ch1. Then return*. Tunisian Reverse Stitch (trs) all stitches, slip stitch into ch1. Then return*. tss 1, tps 1, repeat until the end of the row, slip stitch into ch1. Then return*. tps 1, tss 1, repeat until the end of the row, slip stitch into ch1. Then return*. Repeat the above until desired length. tps all stitches, slip stitch into ch1. No Return! 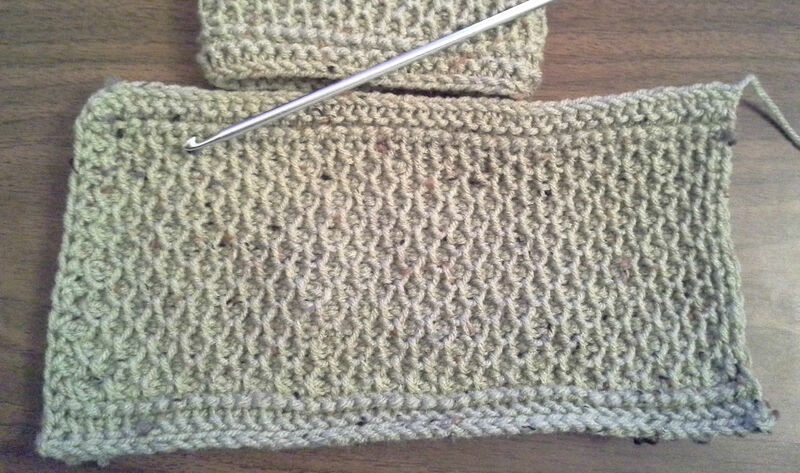 Instead, I transferred all the stitches to size 8 knitting needles and did a perl-side bind-off . I sorta made that up, I think. But it looks great! Fasten off and leave at least a 12 inch tail to Whip Stitch the edges together to make the cuff. Technically, the cuffs are reversible because the “wrong side” has a really neat texture as well. Just make sure when you weave in the edges you weave them inconspicuously (unlike what I did – but I just tuck that end of the cuff into the boot!). I wear mine like socks. I need to try this pattern if they will stay around my chicken legs. I have to double side sticky tape the ones I made a month ago. I really like tbe look of your cuffs! Tunisian is such a lovely crochet. I must be doing something wrong though. 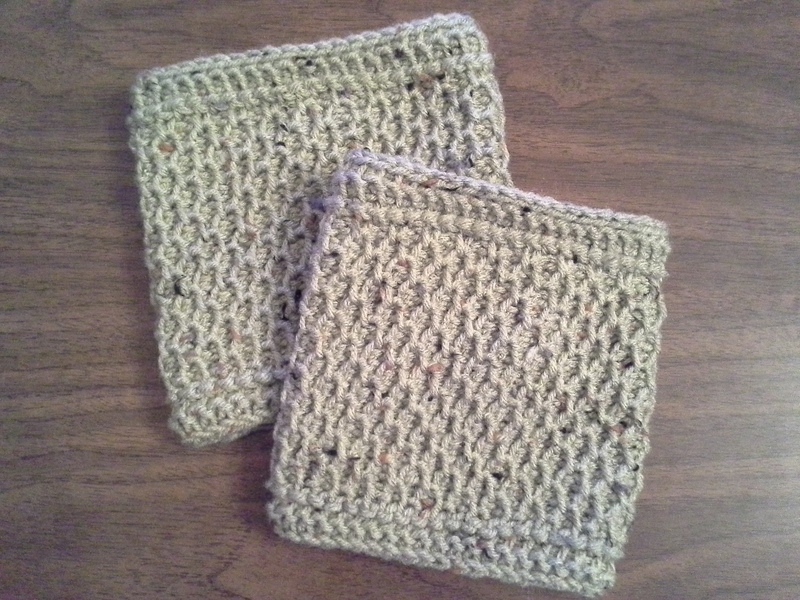 The slip stitch at the end causes the work to curve instead of being square. I counted the stitches & they look right. I did have to go a bit longer as person making them for has larger calfs.